Unisport look of: Nike - are you ready for spring? With exactly one month until the World Cup in Brazil, there is no reason to hide indoors anymore. The spring is upon us and this week we give a few good tips, on how to get the perfect football spring look. It is impossible not to get carried away, when the worlds biggest footballing event comes around and when it is then in the country of samba football, what could possibly be better? Nike have certainly also been happy to share their love for the football loving nation, when designing this years spring collection. We have put together a few of their products, which could inspire you to get a new spring look. 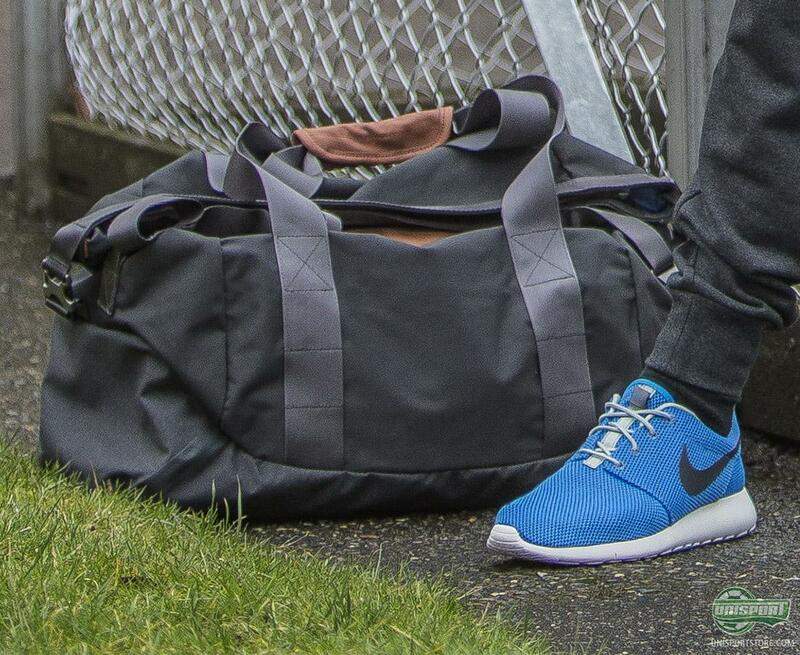 One of Nike's most popular products is their Roshe Run Sneaker. The Roshe Run manages to combine the very best from fashion and sport in a shoe that has really taken over the world. The simple design gives a stylish look and the shoe can be used for both leisurewear, as well as sport. The same goes for Nike's Saturday Duffel Sportsbag, which like the Roshe Run, is ideal for the fashion conscious athlete, who doesn't want to compromise anywhere. Get the cool Roshe Run here – just €97. 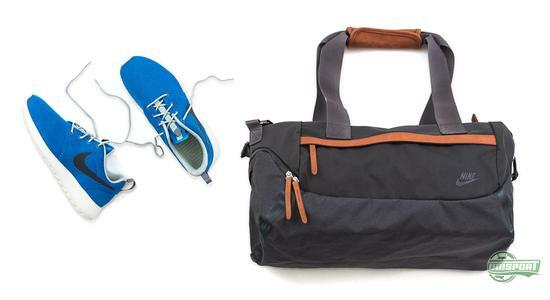 Get the nice Saturday Duffel Sports bag from Nike here – just €110. 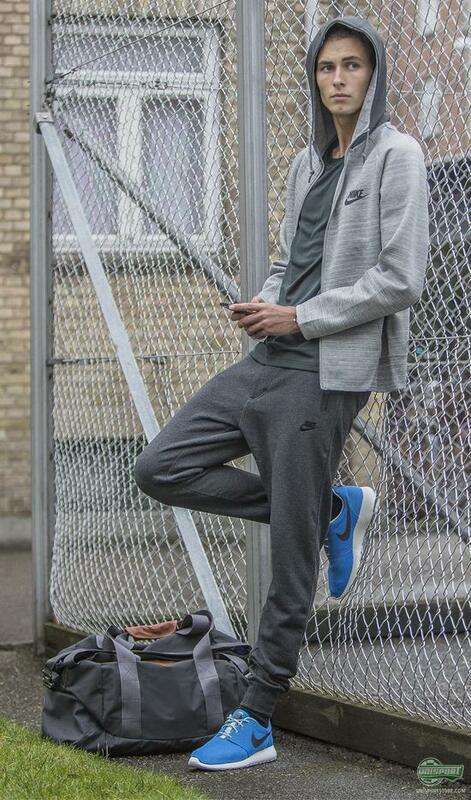 Also Nike's AW77 tech fleece is especially developed with fashion and sport in mind. The Fleece shirt is part of Nike's new Tech Pack, which is developed for their very best athletes. The hood works not only as protection from the elements, but also as a large reflex that makes it ideal for late night running. The shirt is made of a 1 mm. Thick fleece and has a unique thermal construction, which keeps your body heat in check. 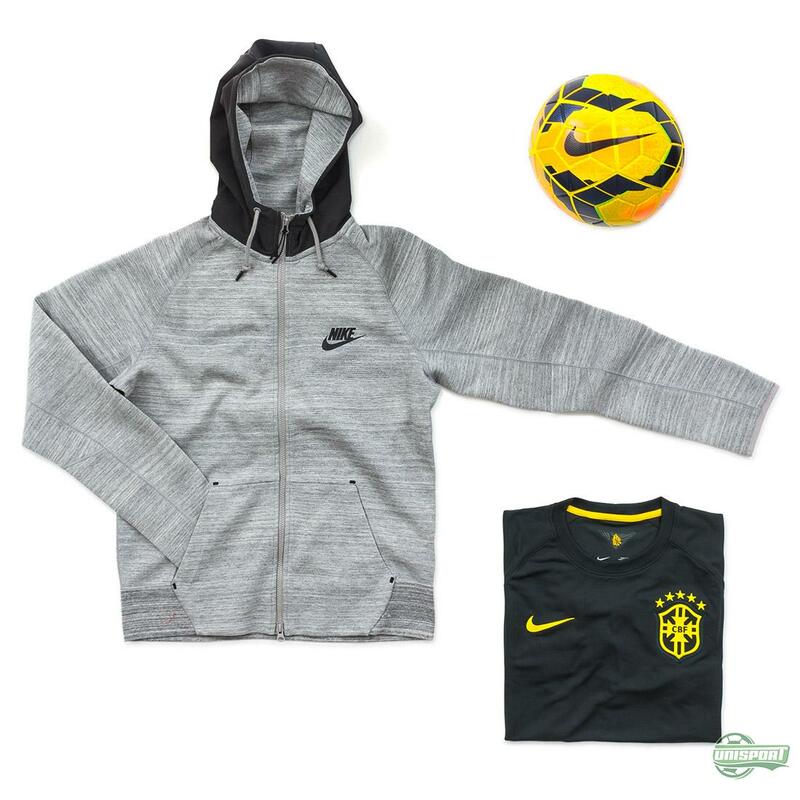 Do like Neymar and get the awesome Nike Tech Fleece AW77 here – just €114. You can find the Nike Ordem Brazil ball here – price €135. You can also find all products that are Brazil related here. At the World Cup Nike will be the official sponsor of 10 nations and that is definitely a responsibility they take serisouly. They have designed an entire collection for many of their players and among them is Brazilian prodigy Neymar Jr., who we are sure will be wearing plenty of Nike gear and dribbling around with the Nike Ordem. What do you think about Nike's clothing-collection? Are you inspired for spring?